It's easy to take the pork export market for granted. It's become such a significant component to the industry's profitability over the last 20 years that it's difficult to imagine a scenario without it. Exports typically account for 20 to 25% of the total pork sold per year, so these markets are beyond important. Efforts by the U.S. Meat Export Federation, the USDA's Foreign Agricultural Service, state and national commodity organizations, agribusinesses and individual producers all play a role in supporting and enhancing this important segment. Over a longer timeframe, pork exports have steadily grown, but the strong dollar and a weak global economy have put a strain on the export market. January exports of U.S. pork were modestly higher than a year ago, but export value slipped, according to data released by USDA and compiled by the U.S. Meat Export Federation (USMEF). January exports accounted for 22% of total pork production and 19% for muscle cuts only (up from 21 and 17%, respectively, last year). Export value per head slaughtered was $41.53, down 11% from a year ago. Exports to China were up significantly from last year's low volumes, reflecting recent reinstatement of several U.S. plants and continued strong demand for imported pork in China. U.S. pork exports to China/Hong Kong maintained the stronger pace established in October, with January volume up 84% from a year ago to 32,609 mt and value increasing 50% to $64.2 million, says USMEF. 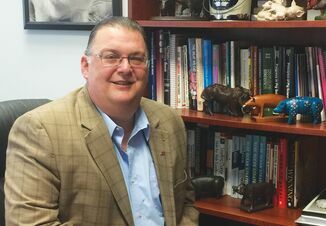 "Having more pork plants and more product eligible for China is absolutely critical," Phil Seng, CEO of USMEF said. "Last year China, Korea and Mexico were the major destinations with an increased need for imported pork. The U.S. industry capitalized on two of those situations, but the EU reaped most of the benefits in China. It's important that U.S. pork competes more vigorously in China in 2016." In a recent AgDay Report, Brian Grete said, "Industry sources tell me that we should see a boost in Chinese pork demand. 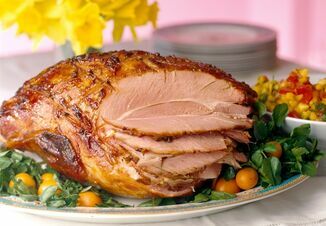 It's probably going to come through Smithfield, which is Chinese-owned, so that's U.S. pork going out to China." Grete is senior market analyst and editor of Pro Farmer newsletter, Professional Farmers of America, a division of Farm Journal Media. "When we look at the oversupply situation on the meat side between pork, beef and poultry, there is a lot of competition in the meat case. We have the dollar that comes into play on the export side, too, so if we can get some Chinese demand that we weren't anticipating then that would be a definite boost for the pork market," Grete said. "It doesn't matter what commodity you look at right now - we have too much supply and not enough demand around the world," said Grete. "The way you fix it is with lower prices, unfortunately, but we need to get a demand boost, unless we get some kind of weather scenario. If that happens, then you get that short, quick pop and you need to take advantage of it and make price sales." That scenario will be good for grain farmers, but will signal higher input costs for pork producers. The USMEF reported that volumes also increased for Central and South America, the Caribbean and Oceania. Led by strong exports to Honduras and Guatemala, January pork exports to Central and South America increased 6% from a year ago in volume (8,970 mt) but fell 13% in value ($20.9 million). Exports to Honduras performed especially well, reaching 1,966 mt (+73%) valued at $3.5 million (+35%). This helped offset lower exports to Colombia. Following a record year in 2015, pork exports to the Dominican Republic continued to shine in January, increasing 51% in volume (2,210 mt) and 26% in value ($4.5 million). The recent rebound continued for pork exports to Oceania, with volumes to both Australia and New Zealand up sharply from the low totals posted in January 2015. Exports to the region more than doubled in volume (5,764 mt, +105%) and increased 36% in value to $15.2 million. January exports slowed to leading markets Mexico and Japan. Following a record month in December and the fourth consecutive record year for Mexico, January volume was down 7% to 55,042 mt, while value fell 24% to $85.8 million. In leading value destination Japan, volume was down 14% to 29,835 mt and value declined 13% to $113.5 million. Pork exports to Korea performed very well in 2015, but slowed in the second half. That trend continued in January, as exports fell 20% in volume (12,192 mt) and 41% in value ($30.5 million). 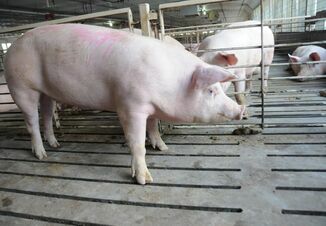 The USDA Economic Research Service reports that in recent years, many factors have converged to create strong incentives for Canadian producers to export feeder pigs to the United States. Among the most important elements was the drive by the Canadian government to curb expenditures in the 1990s, including abolishing the Crow Rate grain-transport subsidy in 1995. "Eliminating this subsidy had two important effects," say ERS analysts. "First, without the transport subsidies, producers in the Western provinces had an incentive to use grain for livestock production. Second, lower agricultural subsidies in Canada resulted in reduced U.S. countervailing duties on imported Canadian hogs. These policy changes created powerful incentives for the Canadian pork industry to expand." There are nearly 200 countries in the world, and what happens in a remote corner of the world can have a ripple effect on the world economy. Gary Martin, North American Export Grain Association president and CEO says it's important to know your industry's primary trading partners, and keep an eye on what's happening in those markets. This includes major weather and environment events, political unrest, currency valuations, supply shortages and income swings, among others. "We've talked about how U.S. agriculture is positioned and how we can respond to global demand," Martin said. "Be opportunistic. It's clear to me the U.S. farmer is at the forefront of meeting global food, fiber and energy needs today and in the future."